Working from home might seem like an impossible dream that once felt like a bit of a luxury, but if you have the right space, it can become a reality in no time. The key to working from home is to ensure that you still create a separation between your work and home life. Whether this means transforming a room in your home, converting your garage or simply creating a dedicated space in your living room, it is the separation from your family life that is key. 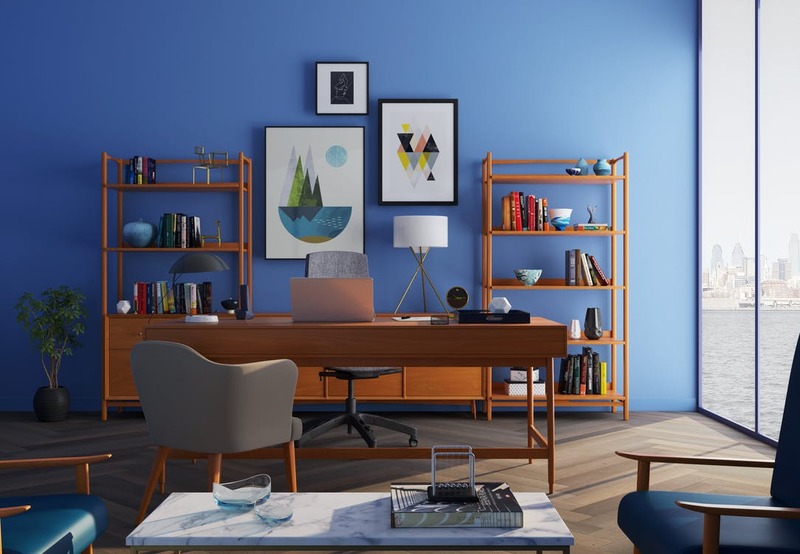 Even if you don’t have a separate room to accommodate your home office, with careful planning you can create a functioning work area in any home. If you plan carefully, your office space could double up as a guest bedroom by adding in a sofa bed, bookshelves and a compact desk. Alternatively, if you want to completely separate your working space from your living space, why not consider converting your garage? Do you really need those old bikes, tools, sledges or whatever else you’re keeping for a rainy day? Search for “roofing repair companies near me” to find a roofing and building company that offers garage conversions and add both space and value to your home. Carefully planned storage space is a vital element of any home office. A messy, unruly environment will not help your productivity or creativity. If your job requires a lot of paperwork, make sure you have a well ordered filing cabinet or at the very least some storage boxes or files. If you’re short on space, wall-mounted shelves are always a good option as they don’t take up floor space. While you might believe that keeping your office space simplistic will reduce the chance of distractions, studies have proven that offices with pictures, souvenirs, plants and more are the best for you. According to The Guardian, “plants in offices increase happiness and productivity”. The article goes on to explain that often minimalist spaces devoid of pictures or ‘distraction’ are “the most toxic”. Houseplants have been proven to increase memory retention, reduce stress and to clean the air. You should also make sure to choose a space with lots of natural light and try to position your desk near a window. This is especially beneficial in Summer. The colour scheme that would work best for you won’t necessarily work for someone else. If you work best in a calm, organised environment you might opt for more neutral, peaceful colours. However, you might find that bright colour and patterns inspire your creativity more if you thrive in a busy environment.